Both elegant and functional, the Quilt Dining Chair by Zuo Modern is the beautiful boost your home decor needs. 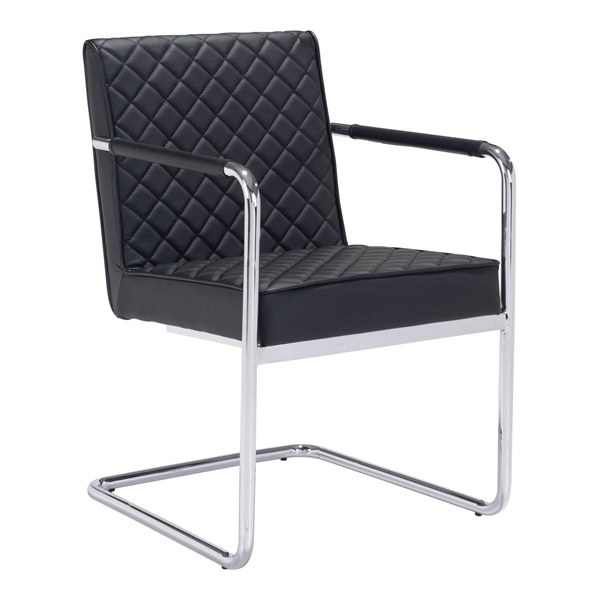 Featuring quilted leatherette upholstery in your choice of two colors, this chair add comfort anywhere you place it. Gleaming legs and arms crafted from chromed steel offer strength and balance. Sumptuous padding in the seat of the Quilt Dining Chair by Zuo Modern ensures many comfy years of use in your home.